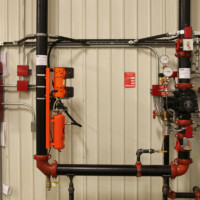 The Ezzo Dry Sausage Plant Renovation, Phase One project is converting a 77,000-square-foot warehouse on Columbus’ west side into a large food processing facility. 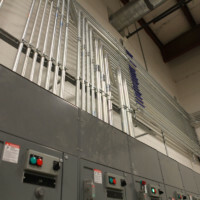 The plant, which has been producing its dry sausage in town for 37 years at another location, uses Maurer food processing systems to process and prepare collagen and fibrous-cased pepperoni. 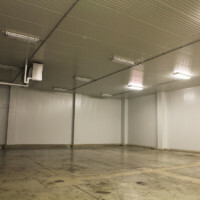 What was once an empty, open warehouse space is now partitioned into several rooms, which include two 600-square-foot coolers one of which will be used for raw items while the other is designated for finished goods. 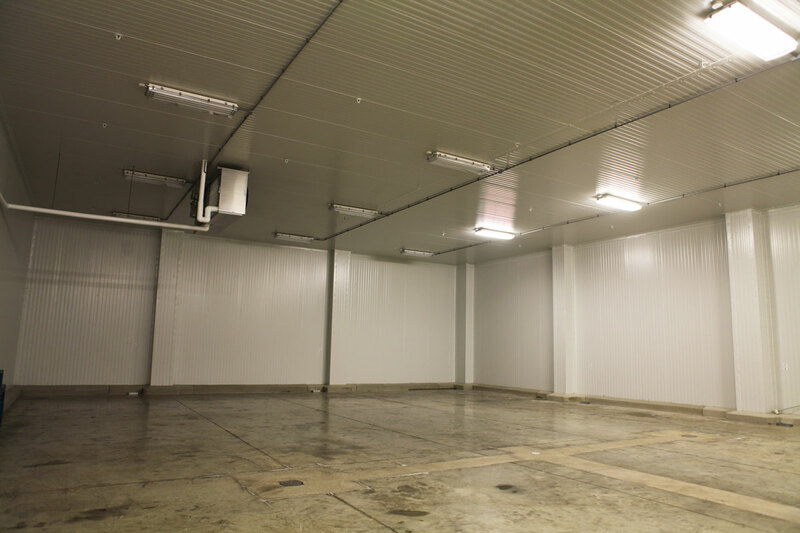 Additionally, the plant contains a large kitchen, a raw staging corridor, two industrial-size 250-square-foot ovens, four drying rooms, a slicing room, a dry goods storage room, and a shipping area. 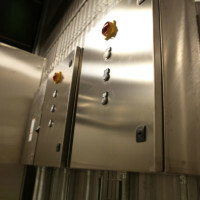 This entire process is controlled by a complex control room that sits between the pair of ovens. 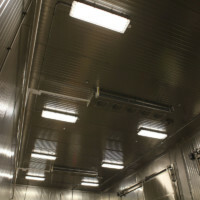 All interior walls function as cooling mechanisms as well, maintaining a 28-degree temperature in the raw and finished goods cooler, and 32 degrees inside the slicing rooms, kitchen and transfer corridors. 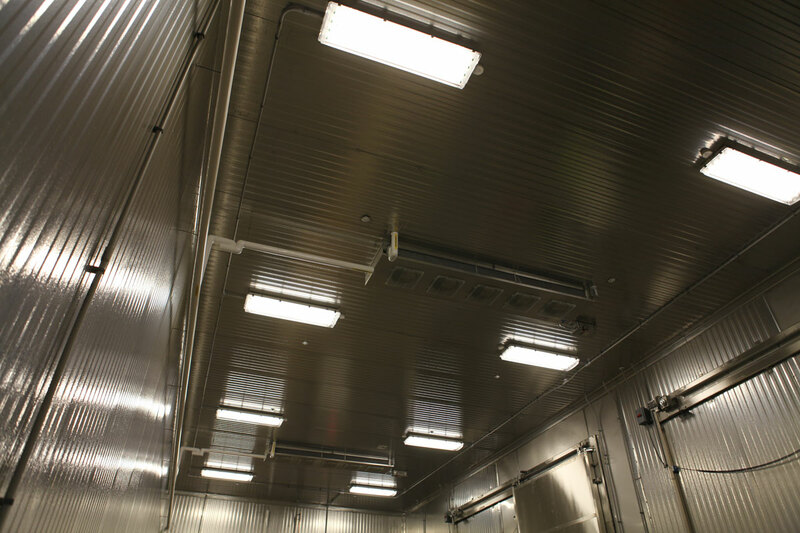 Temperature is controlled by standalone evaporators in each location supported by condensing units on the interior of the plant. 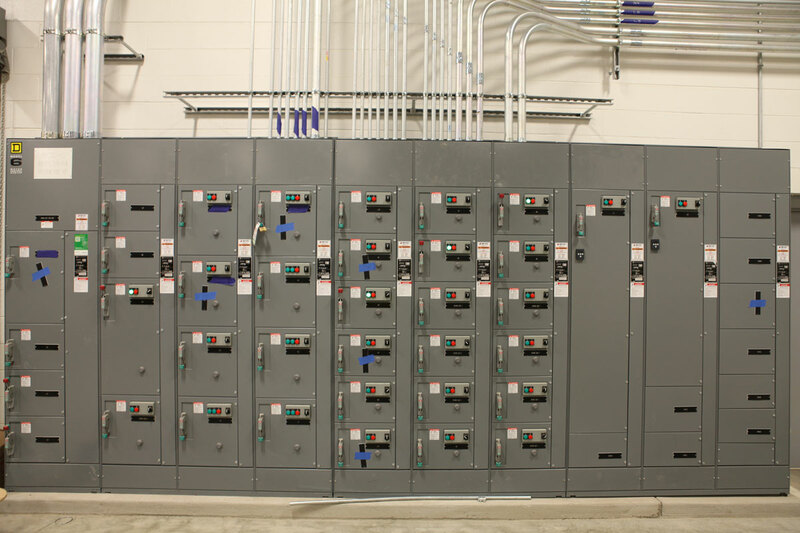 As the electrical contractor, our project scope consists of all electrical installations. 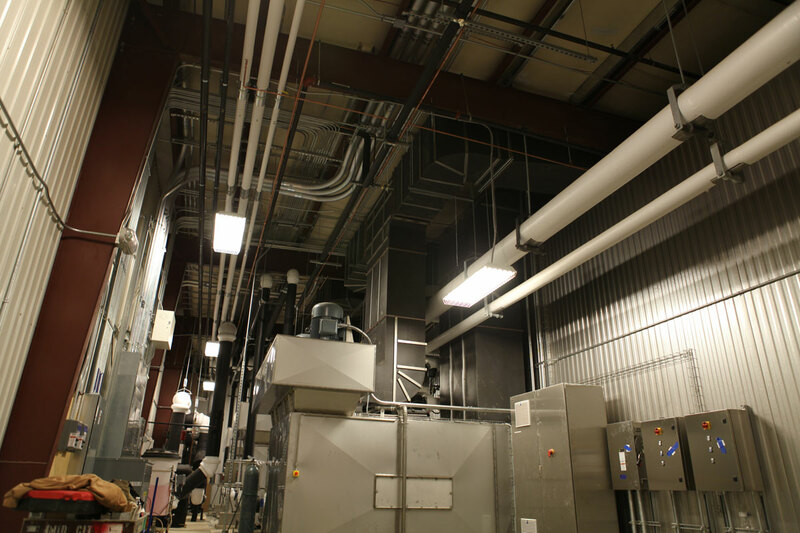 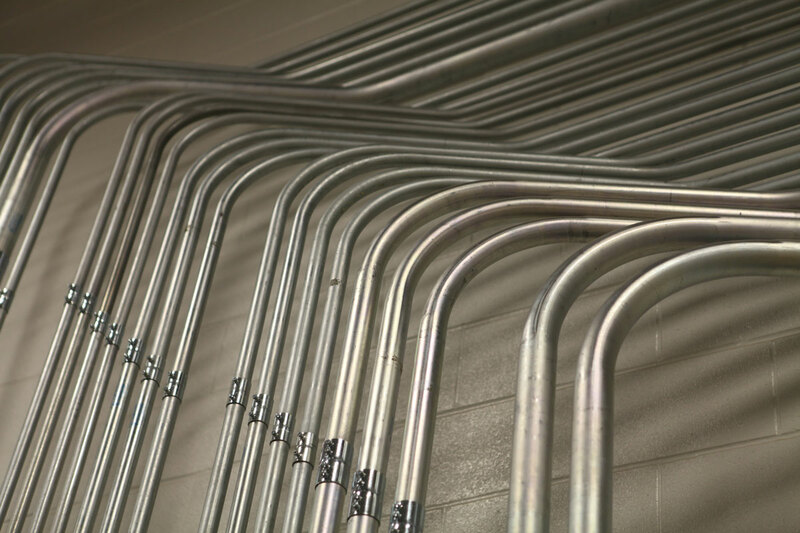 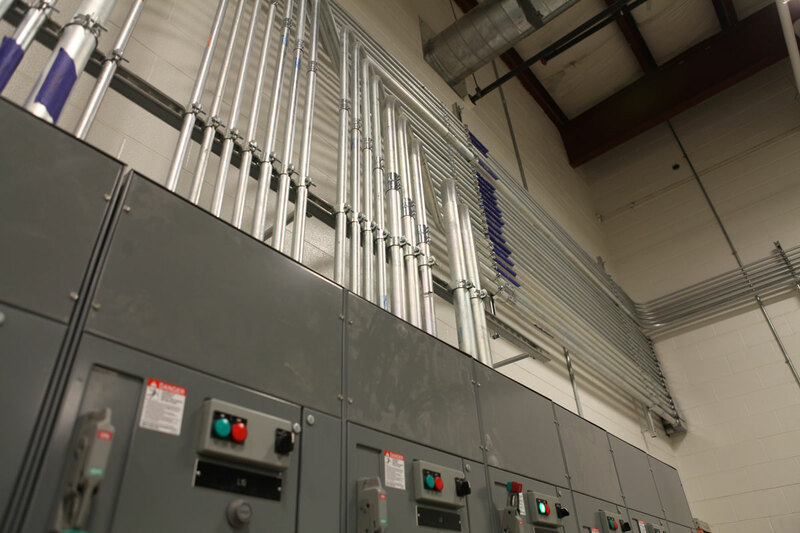 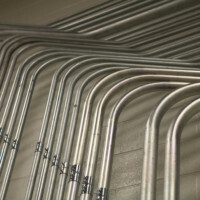 This includes an entirely new AEP service, complex control system wiring for cooling equipment, and refrigeration units and HVAC equipment wiring (particularly supporting a large chiller and boiler room.) 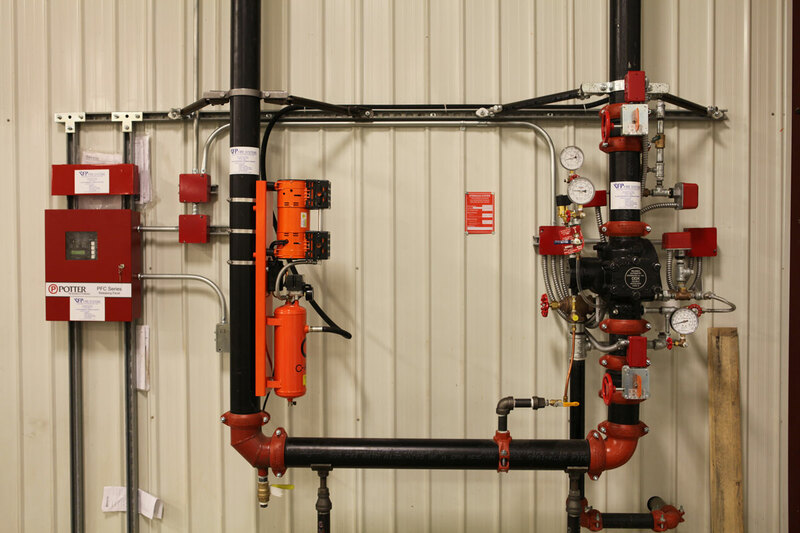 Our team completed the fire alarm system building-wide as well. 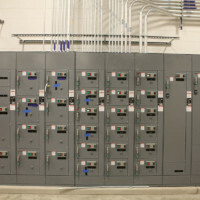 Additionally, our electricians installed major wiring to the Maurer equipment, which controls both the ovens and dryers. 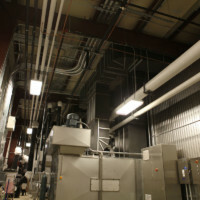 Phase two of this renovation will be beginning in the upcoming months. 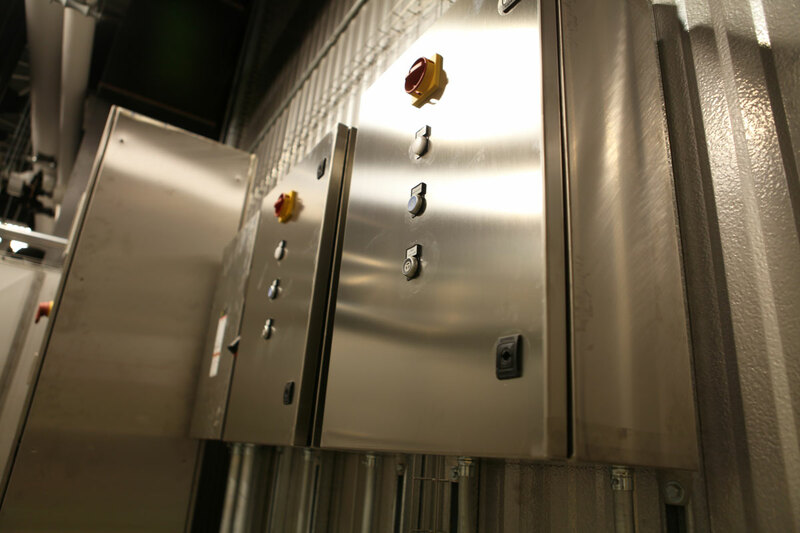 Check back for details on the next step of this exciting transformation!